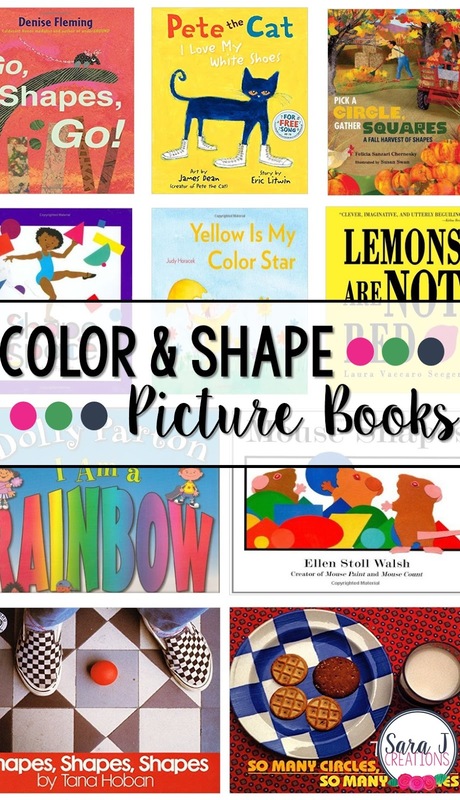 There are LOTS of color and shape picture books out there. A LOT. I knew we couldn't possibly read all of them so instead I searched for books we already owned and then did a quick search of our local library. 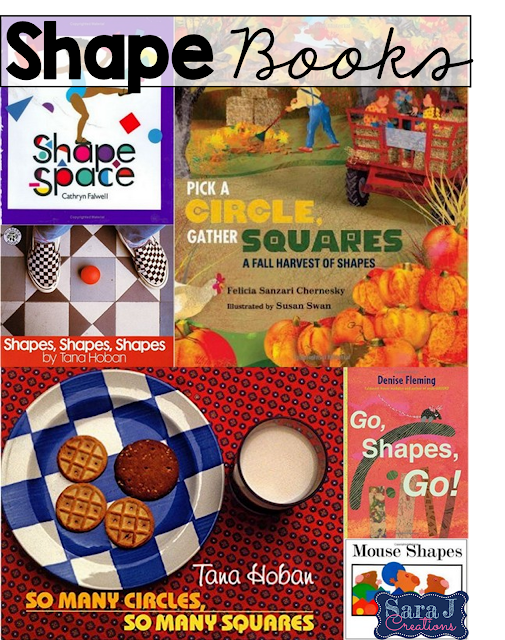 Most of these books we didn't have a specific goal for - just to read, enjoy and solidify our learning on shapes and colors. I tried to make sure we read one before activity we completed and we also read several at night before bed. The one book I did have specific goals for was Mix it Up (not pictured below) but you can read more about how I used that book HERE. -Pete the Cat - this was our first time reading a Pete the Cat book and we all loved it and read it over and over again. And then I downloaded the songs from the publisher's website and we've been listening to those on repeat. -My girls loved Monsters Love Colors. It talks about the different colors and mixing colors and they wanted to read this over and over again. -Mouse Paint was also a hit with the girls even though this non mouse loving mommy had a hard time staring at their red eyes! -My favorite find was the Mackinac Island book. We try to buy a new kid's book when we are on the island each year and were excited to find this new one just as we started our color unit. -Pick a Circle, Gather Squares was a good transition from our shape unit to our new fall unit since it is all about finding shapes during the fall. -Again Mouse Shapes was a favorite with the girls. Those eyes though!!! 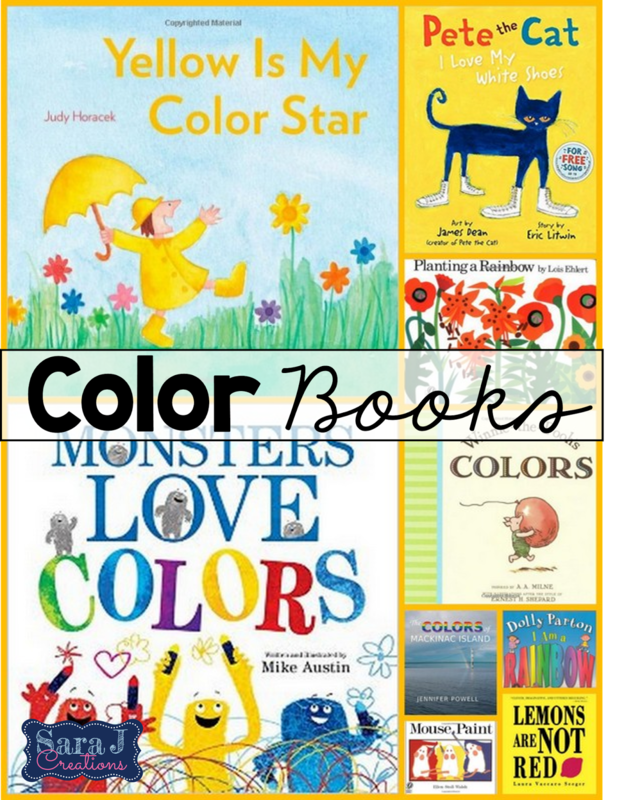 What books do you like to use when you teach colors and shapes?